Liza Soberano in sizzling hot bikini? An alleged photo of Liza Soberano wearing bikini was circulating the internet. But fans are in doubt and questioning if Liza is ready to show the public her body? We all know that she is portraying Darna in her next movie but the real question is she really wearing a two-piece suit? Let's all take a look at these photos. These pictures were uploaded by PSG (Pamatay Sa Ganda) Facebook page. Apparently, the girl in the photo is herself Kriz. She is a freelance model and an event host. 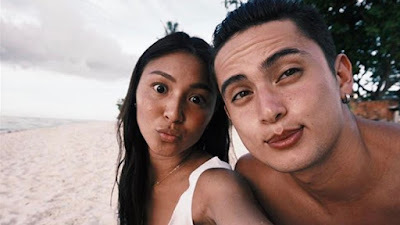 The alleged photo was taken at her summer getaway at Palawan.